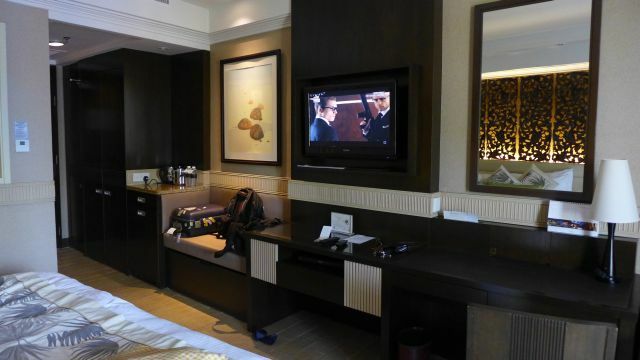 Alhamdulillah, thanks to Partner In Crime's stint in the beloved land of Mauritania, he had the chance to become a member of Shangri-la's Golden Circle. We wasted no time to utilize GC's reward points in terms of Room and Dining Awards before its expiry :) You can choose to stay at any of Shangri-la's Hotels in Malaysia or overseas using this Hotel chart here to know how many points are needed or any Non-Room Award points (dining or spa). 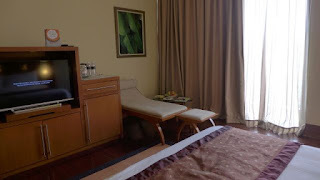 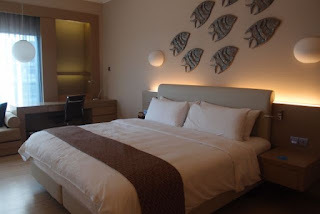 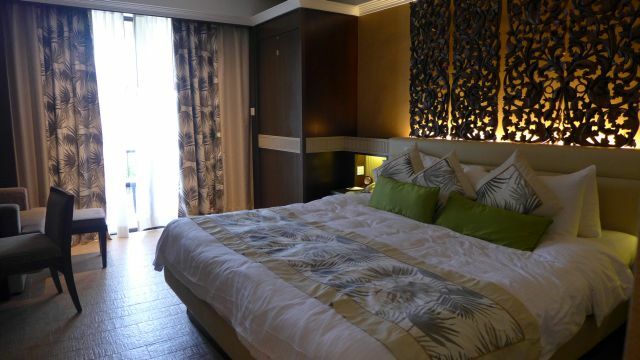 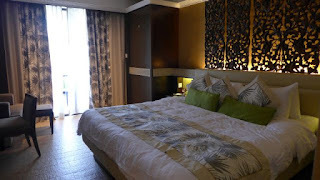 We utilized 1000 GC points to redeem 1 night stay for a standard room at Hotel Jen Puteri Harbour which comes with complimentary breakfast for 2 for a Jade member. 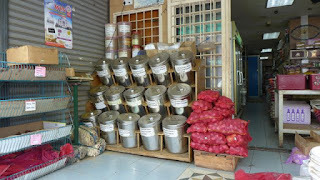 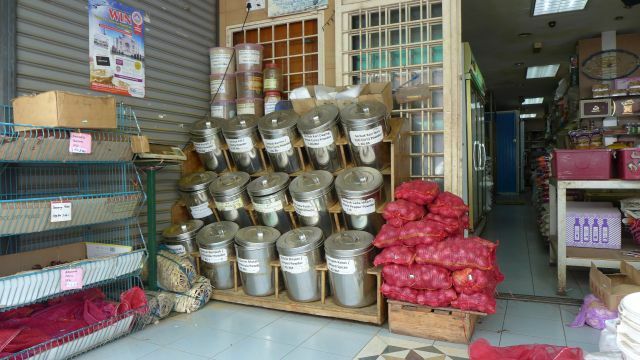 We utilized this during our visit to Johor Bahru for Hari Raya. 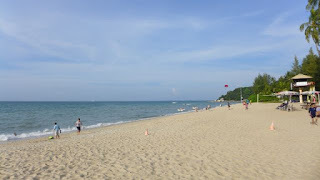 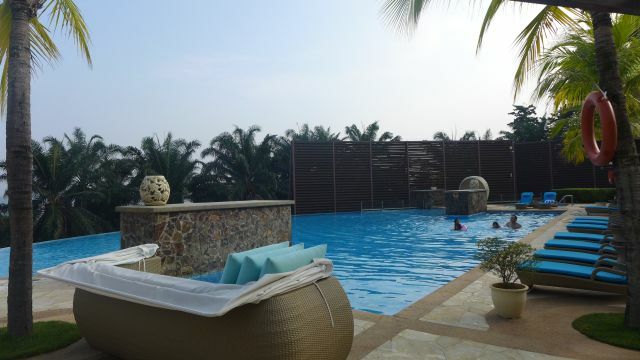 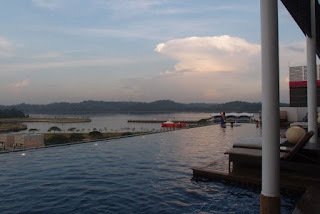 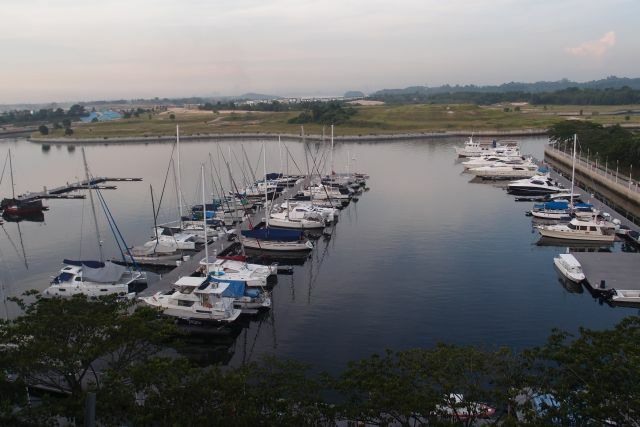 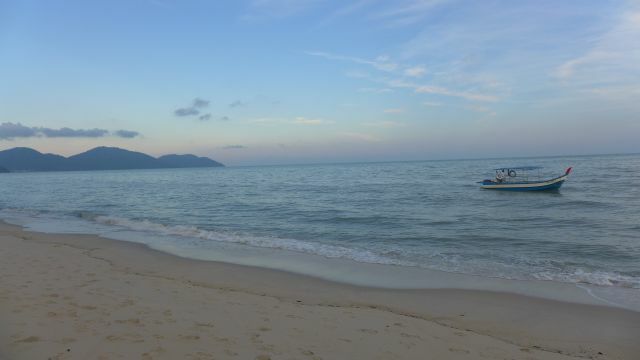 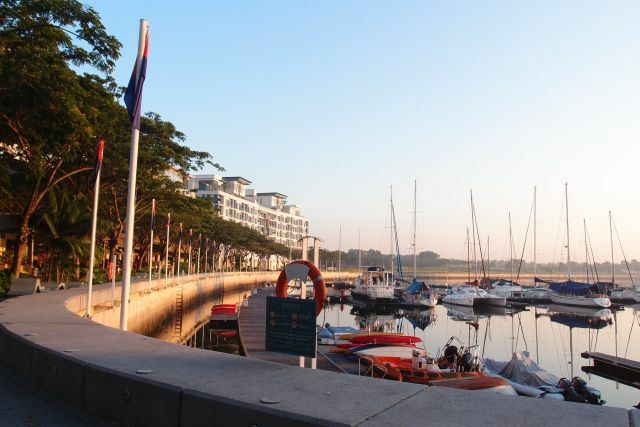 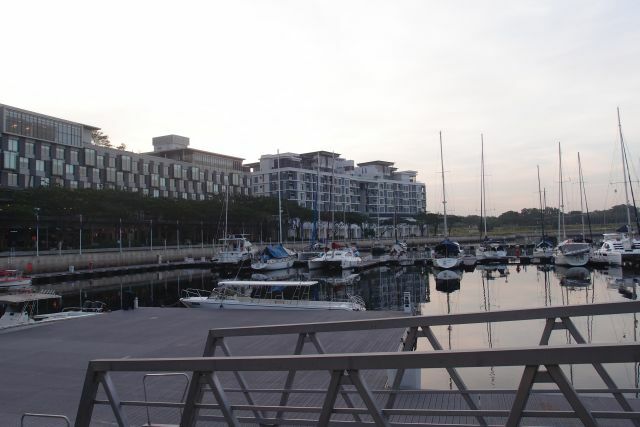 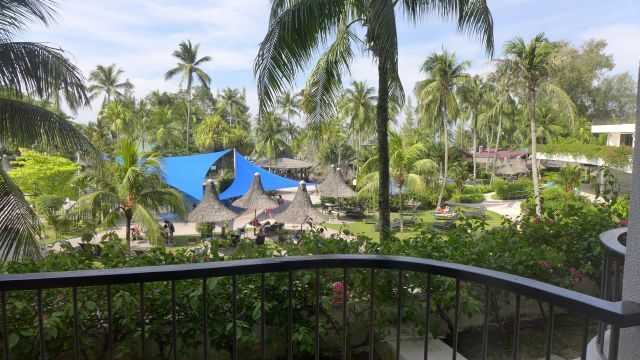 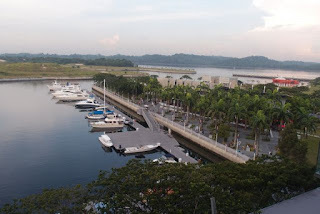 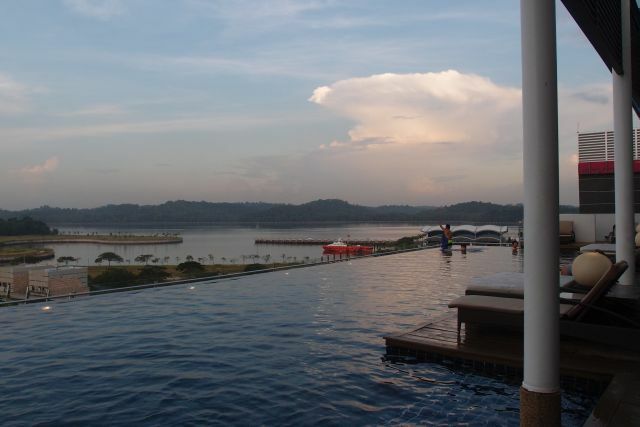 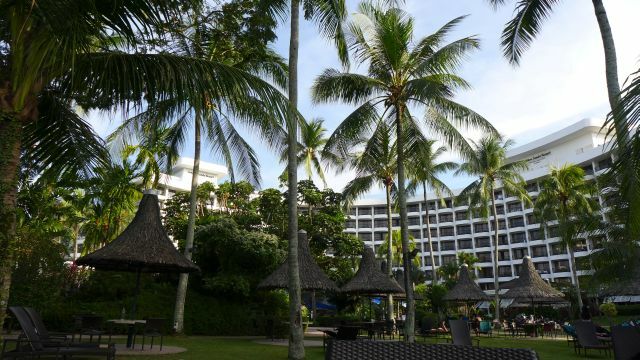 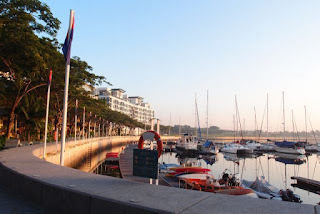 As the name implies, it is situated at the Puteri Harbour with views of luxurious yachts berthed at the quay. 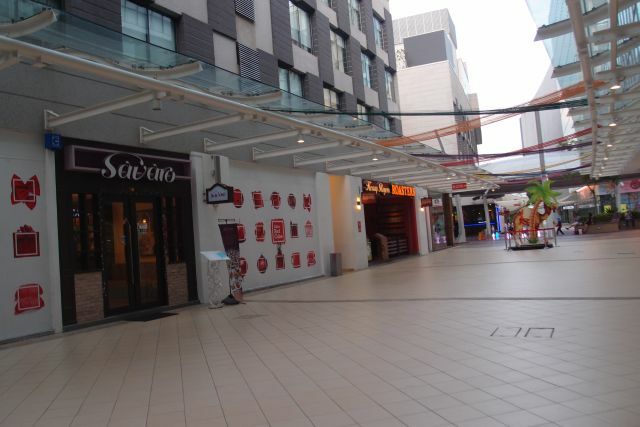 It is also just next to Hello Kitty Town and Big Hit Club. 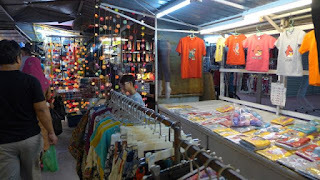 There also shops and restaurants at the same premise if you're not keen to drive out to JB town. 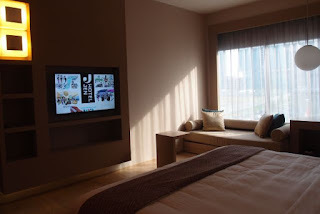 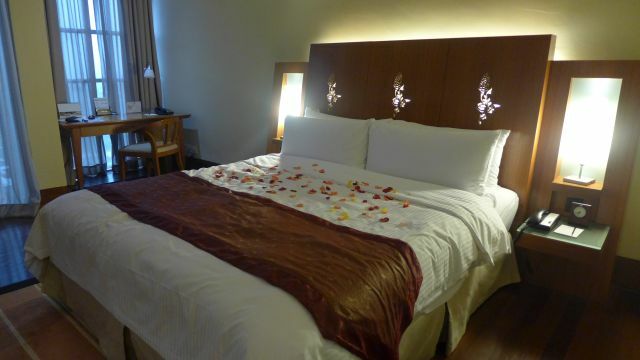 For our first wedding anniversary, we utilized 1000 GC points to redeem 1 night stay for a standard room at Shangri-la Putrajaya which also comes with complimentary breakfast for 2. 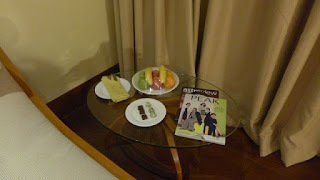 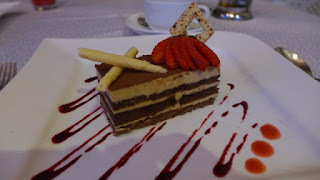 There was also complimentary fruits and chocolate provided in our room and evening cocktail at the lobby from 6-7.30pm. 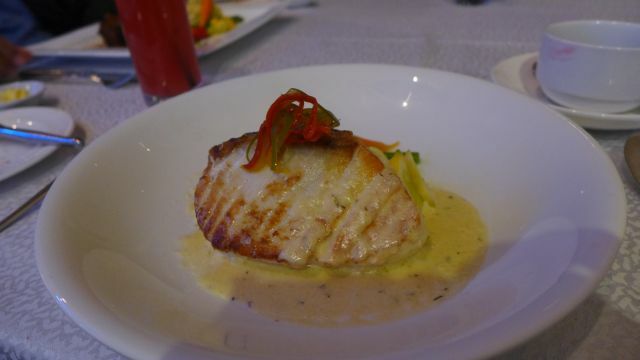 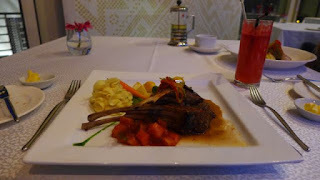 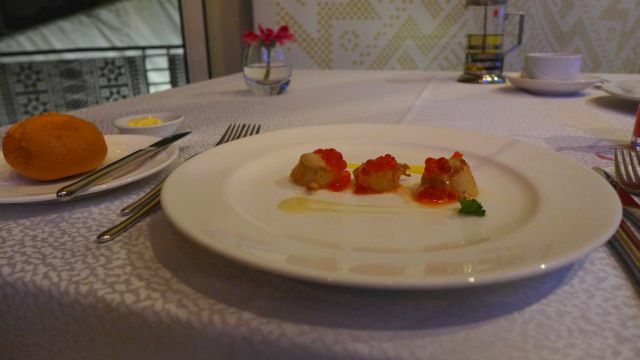 We also utilized Non-Room 1000 GC points for dinner at Azur restaurant at the hotel. 1000 GC points is equivalent to USD 100, at the time it was equivalent to RM379. 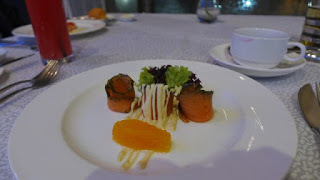 For appetizer we had salmon gravlax carpaccio and grilled scallops on beetroot stew; mains of garlic black cod fish and grilled rack of lamb; and dessert of durian mousse and tiramisu azurrine. 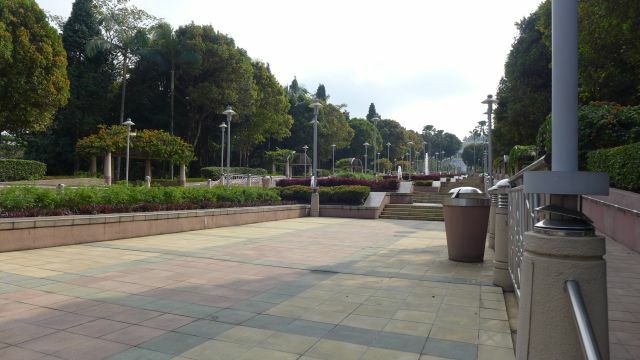 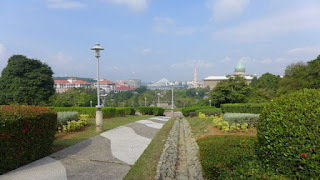 There is a park within walking distance where one can jog or go for a stroll with a nice view of Putrajaya. 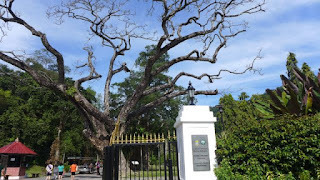 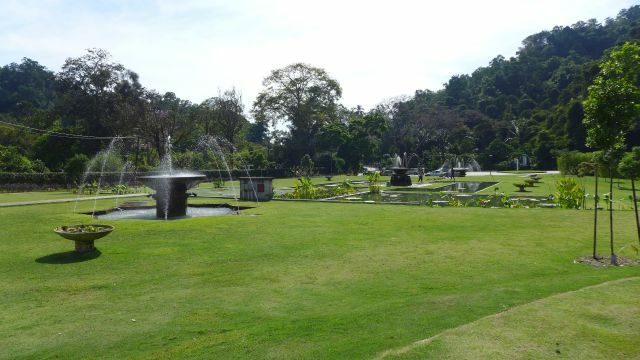 For our stay in Penang this time, we went to the Botanical Gardens, which is really beautiful and so underrated! Entrance is free. 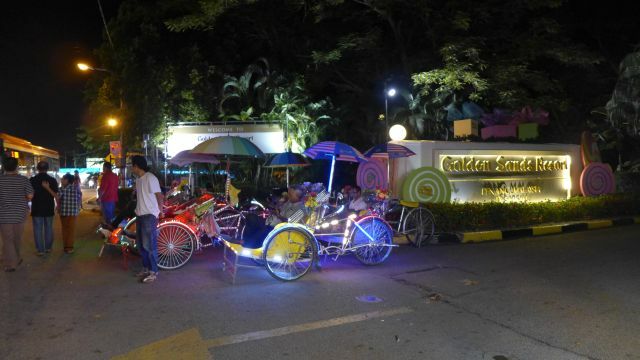 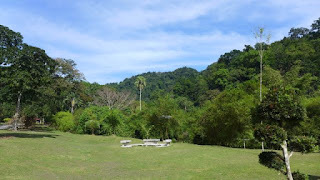 There is a buggy service which cost RM3 per person to take you around the garden, but you can actually do the walking yourself. There is a trail by jeep / 4WD which takes you to Penang Hill from the garden. 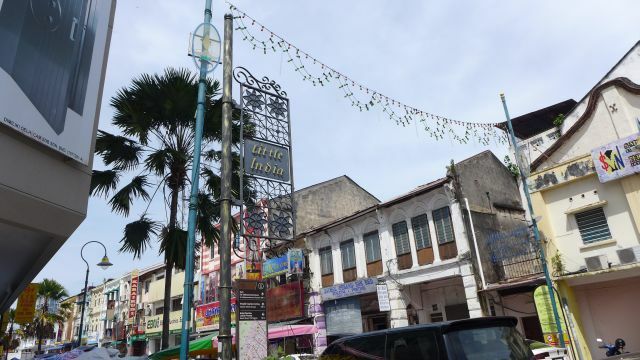 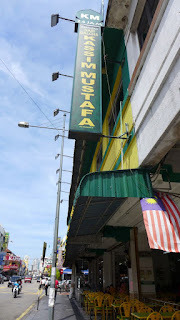 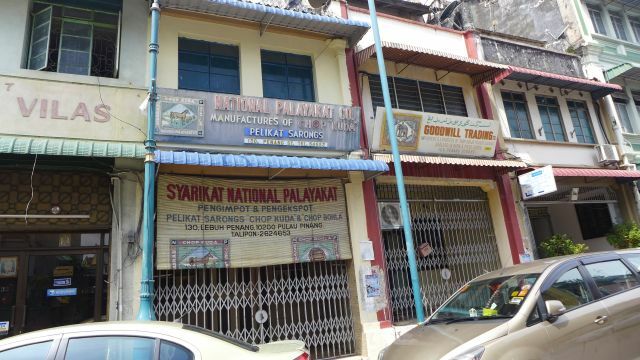 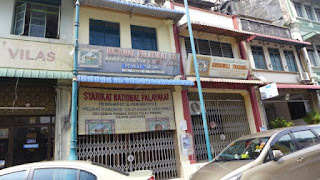 For lunch, we went to town in Georgetown looking for nasi kandar - we settled for Kassim Mustafa near to Little India at Lebuh Penang.